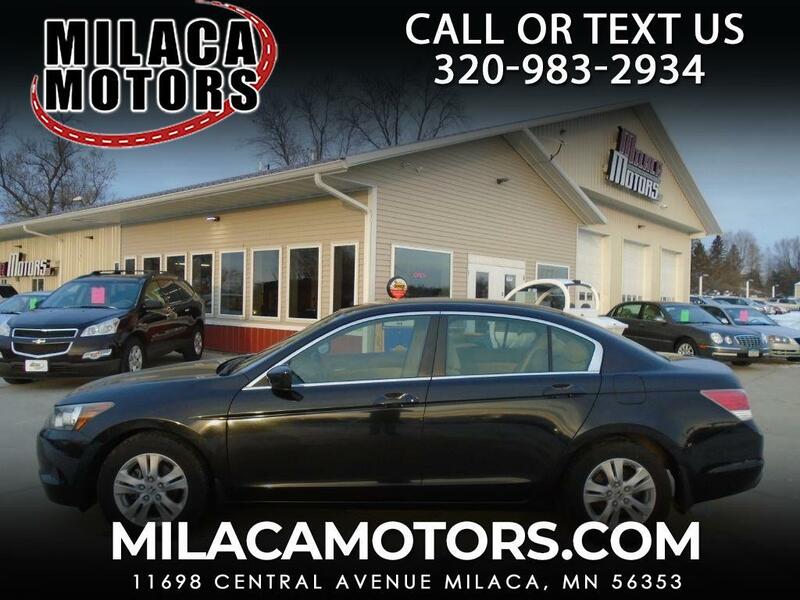 Add some driving pleasure to your day in our 2009 Honda Accord LX-P Sedan! Power comes from a 2.4 Liter 4 Cylinder, while connected to a smooth shifting 5 Speed Automatic transmission. Our LX-P offers plush cloth seating, power driver's seat, keyless entry, steering wheel audio controls along with a 160 Watt AM/FM/CD Audio System. Check out the pictures of this amazing sedan. For added peace of mind, our Honda offers traction/stability control, ABS, brake assist, plenty of air bags, and more. Print this page and call us Now... We Know You Will Enjoy Your Test Drive Towards Ownership!